The Medieval Academy of America is the largest organization in the United States promoting excellence in the field of medieval studies. It was founded in 1925 and is based in Cambridge, Massachusetts. The Academy publishes the quarterly journal Speculum, and awards prizes, grants, and fellowships such as the Haskins Medal, which is named for Charles Homer Haskins, one of the founders of the Medieval Academy and its second president. 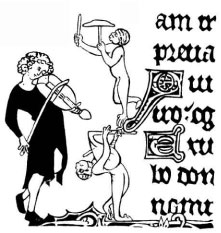 The Atlantic Mediæval Association is a small but vibrant community dedicated to fostering scholarly conversations and connections amongst mediævalists living and working in the North Atlantic region, particularly Atlantic Canada and New England. The annual Atlantic Mediæval Association conference encourages proposals in any relevant discipline, including history, theology, philosophy, literature in all vernacular languages and Latin, and the reception and use of the Middle Ages in later cultures. CARMEN brings together scholars from universities and academic organizations who are actively involved in research on the Middle Ages (c. 400-1500 AD/CE). Accessing half of the global body of about 20,000 researchers, with important contributions from Europe, North America, East Asia, Australasia and Latin America, CARMEN successfully promotes the construction of major scholarly collaborative projects. Its Executive Group directs strategies, disseminates information, reports to national associations and major conferences, and organizes an annual meeting. It assists nascent projects to reach critical mass and tries to pro-actively shape research agendas. CARMEN currently recognizes outstanding project ideas in Medieval Studies and Medievalism with the CARMEN Project Prize. The prize is awarded to a project idea which has the potential to advance our understanding of the medieval period or its reception in important and/or innovative ways. Applicants should not have already received significant funding as projects are expected to be in the early development stage. If you are interested in applying, submit a short application by visiting here. Ménestrel held its first meeting on 5 June 1997. 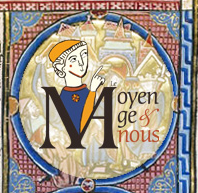 It was initiated by the Paris URFIST (Unité régionale de formation à l’information scientifique et technique) in order to develop a documentary network for medieval studies on the Internet. The workgroup was built around the editorial board of Le Médiéviste et l’Ordinateur (The Medievalist and the Computer), together with scholars and documentation specialists from various organizations. Founded in 1985, the Société des études médievales du Québec promotes scientific research in medieval studies in Quebec and brings together researchers, professors, students, and enthusiasts of medieval history. The SEMQ publishes the journal Memini: Works and Documents.